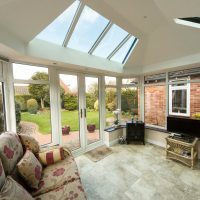 We install Solid Roof Glass House Extensions across Stevenage, Hertfordshire, Welwyn, Cambridge, Radlett, Waltham Cross and surrounding areas. 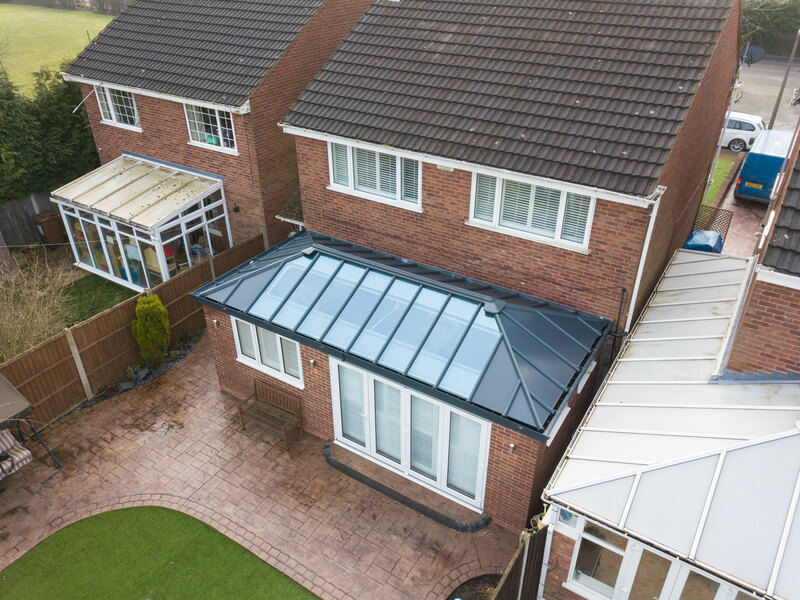 Offering you the perfect combination of solid and glass roof designs, the Solid Roof House Extension brings exceptional freedom of choice to ensure you get the perfect fit for your home. 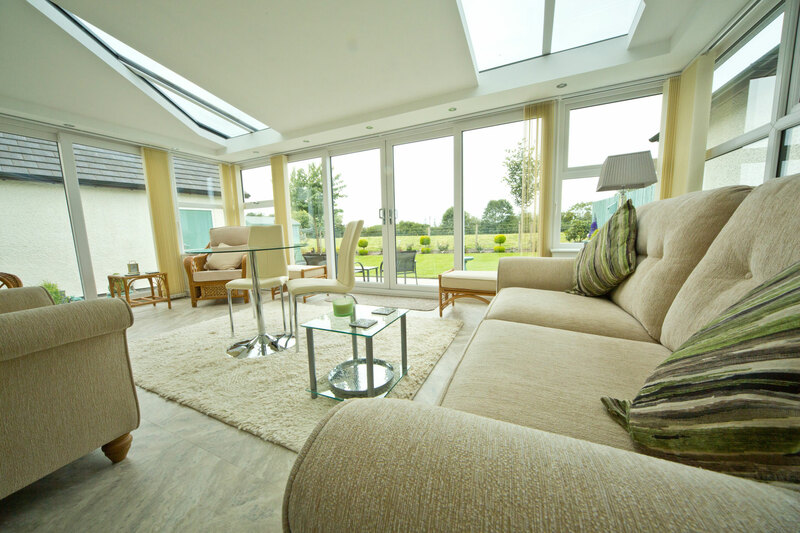 We make it easy for you to bring a personal touch to your home. 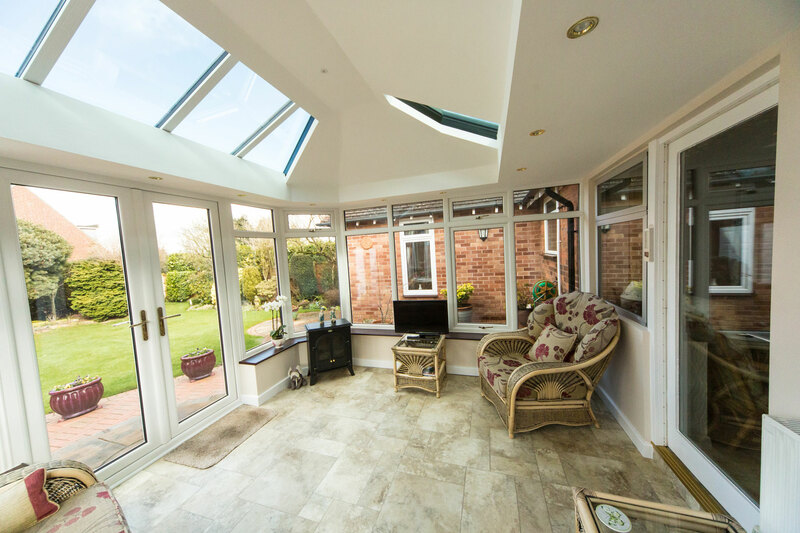 This house extension specialises in allowing you to choose the shape and style of the installed glazing, as well as its placement. 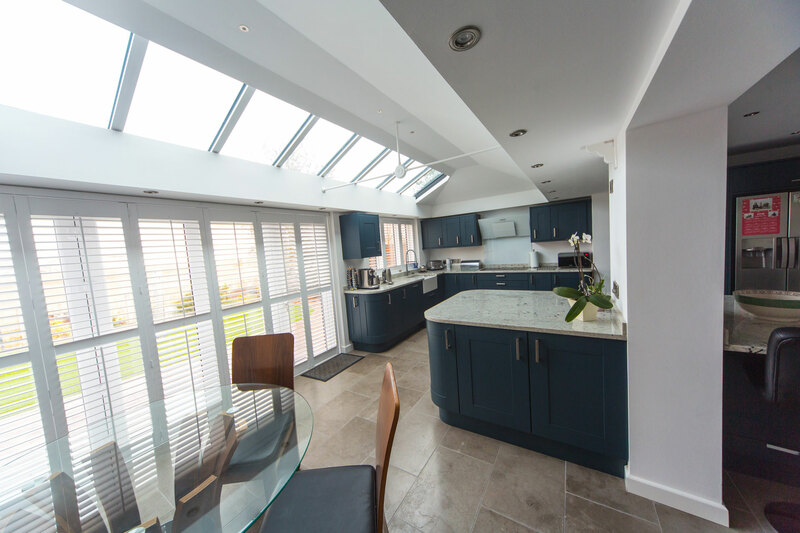 Whether you’re looking for a focussed focal point or a balanced bright and spacious feel, the choice is yours. 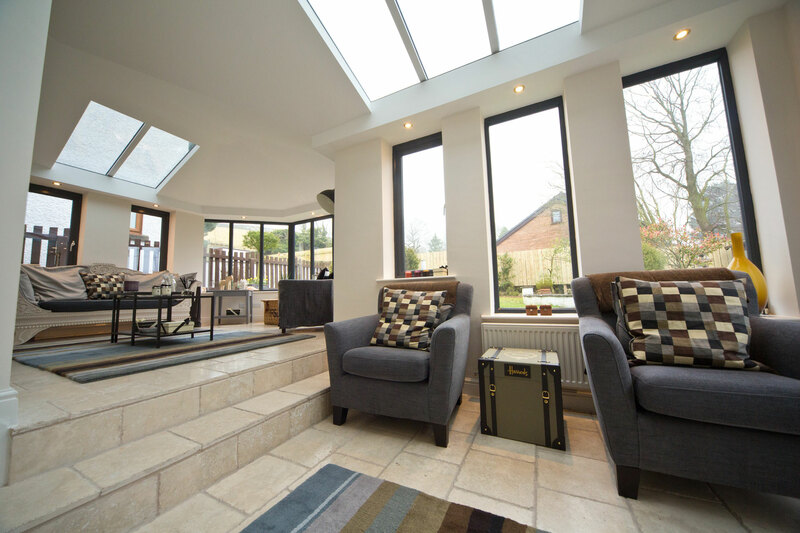 With our Solid Roof House Extensions, you’ll be able to bring a beautiful ‘room-like’ feel to your home. 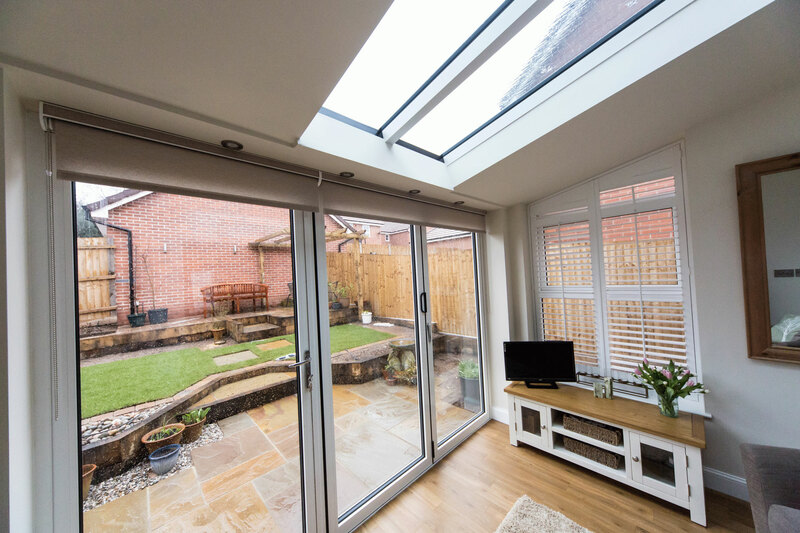 When this factor is combined with the fact that you can remove any internal doors, you’ll be able to enjoy a seamless transition between your home and your new extension. 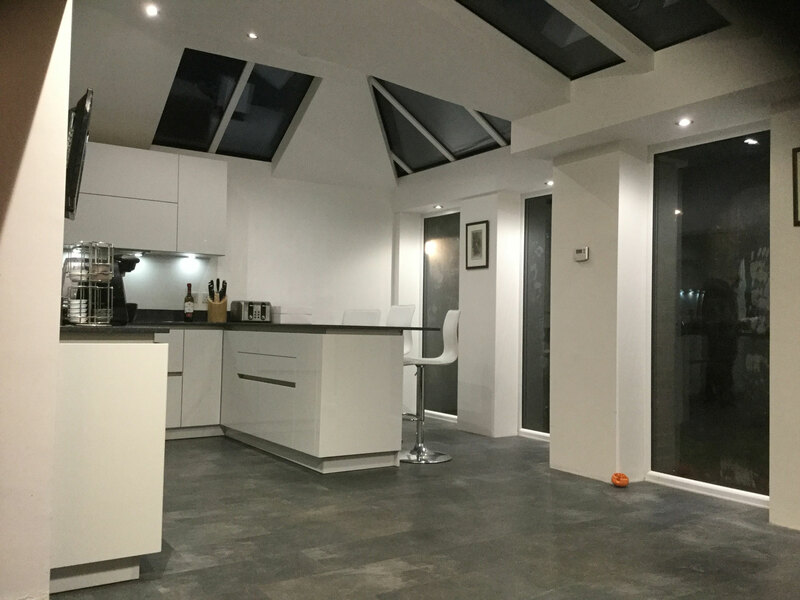 We know that feeling safe and secure in your home is important, which is why we design all of our house extensions to suit the wind and snow loads in your area. This is made possible by using weather information based on your postcode. 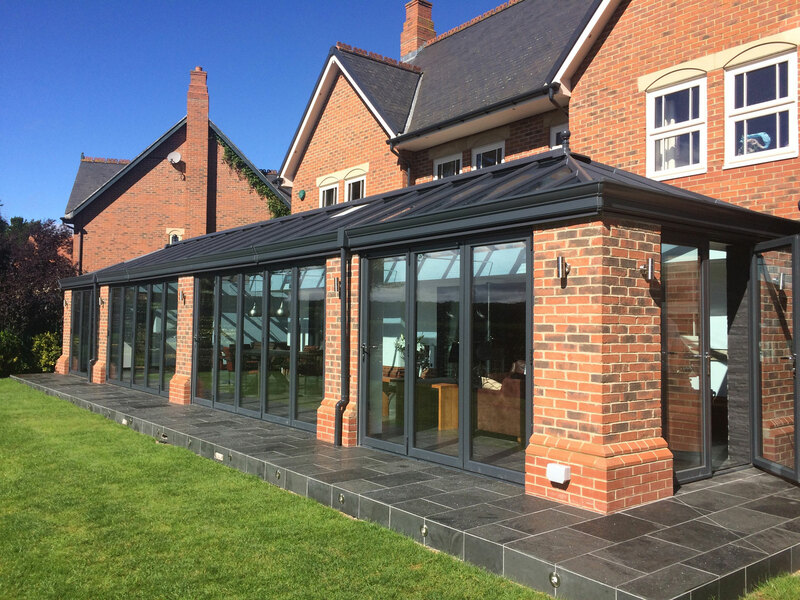 The super insulated columns that we offer play a key role in ensuring your new house extension fends off the winter weather. 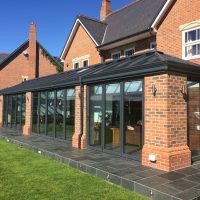 Their modern design enables them to achieve a standard of thermal efficiency that is five times more effective than a brick pier, and they feature a look that has been inspired by the traditional architecture of the Italian Renaissance. 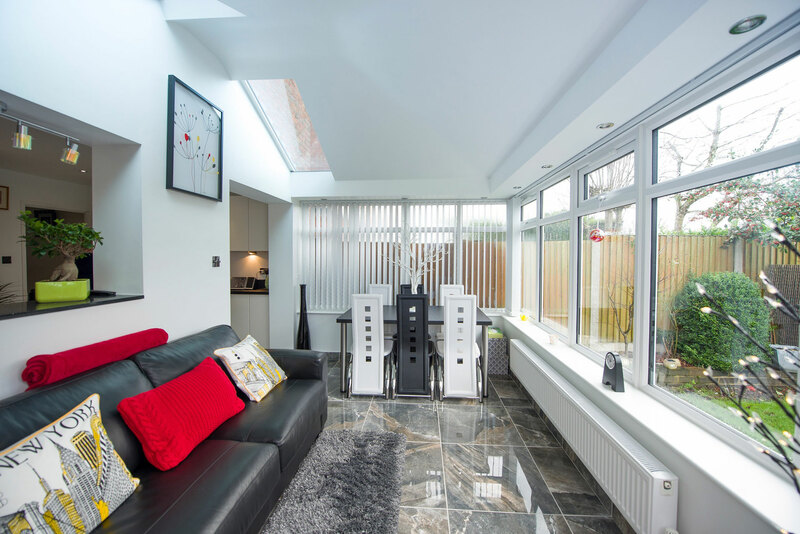 The internal insulated pelmet allows you to enjoy an authentic ‘room-like’ feel in your house extension and can be used to house lights and speakers. 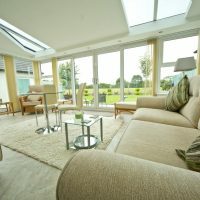 It also features an insulated cavity, which allows you to enjoy the benefits of a higher degree of thermal efficiency. They are a fantastic addition to any home, both new and old alike. 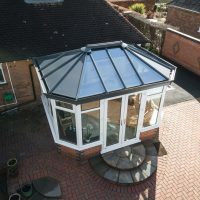 To ensure the outside of your home is as beautiful as the interior, all of our Solid Roof house extensions are fitted with a decorative cornice. 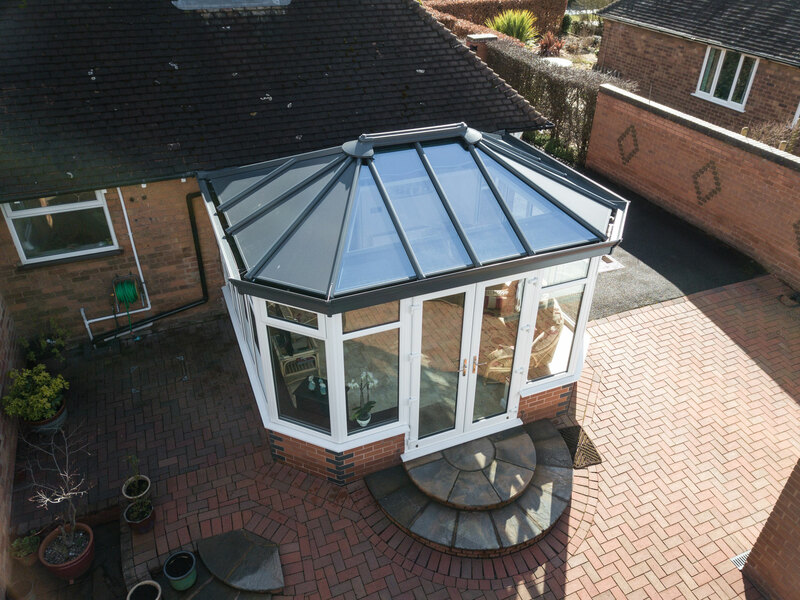 This feature runs along the outside perimeter of the roof, and can be fitted in one, two or three tier variants. 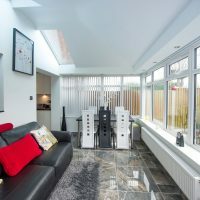 They are also available in a range of colours so you’re sure to get the right one to suit your tastes. 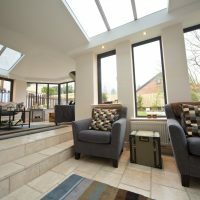 High performance glazing, super insulated columns and an insulated internal pelmet combine to ensure you remain warm and comfortable throughout the year. Not only this, but you could also find yourself saving money on your heating costs, as you rely less on your central heating to keep you comfortable during the colder months. 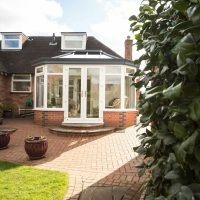 To ensure our house extension suit your home perfectly, we offer a choice of shapes for you to choose from. 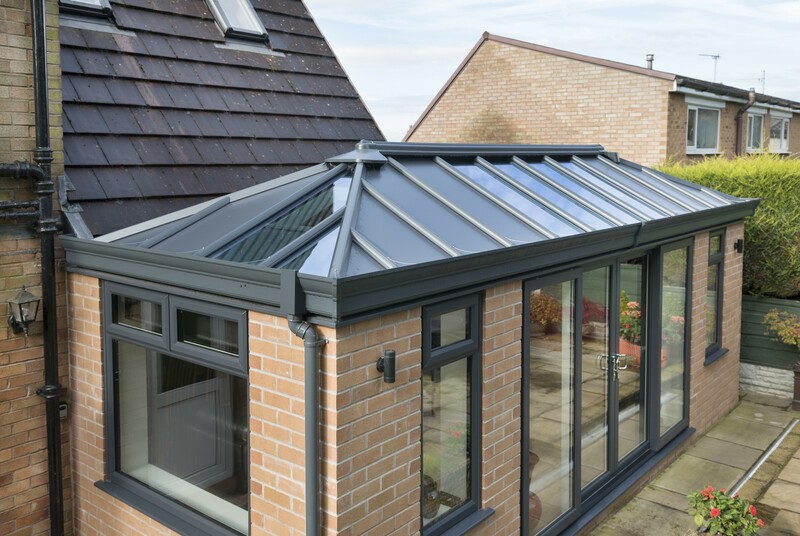 This includes double hipped with box gutter, P-Shape, Georgian, Lean-To and Gable. 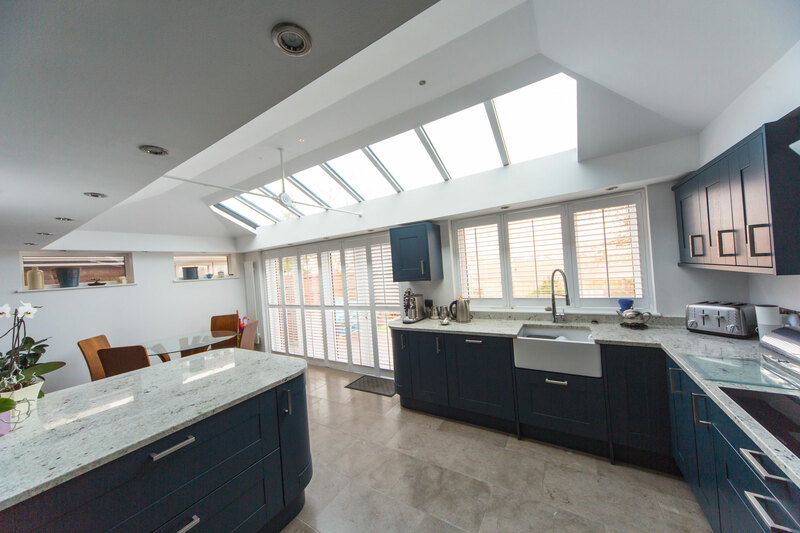 Whether you’re looking something with a feel of grandeur, or something that is a little muted, we’ll be able to offer you a house extension to suit. 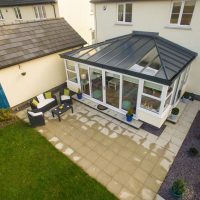 We know that investing in a new house extension can sometimes be a daunting factor, especially when you feel that you have to consider planning permission or building regulation requirements. However, this is something you will never have to worry about with our designs as we’ll take care of everything for you every step of the way. 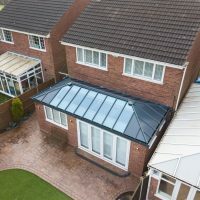 Our Solid Roof House Extensions are manufactured using the latest designs and premium materials to ensure lasting quality. 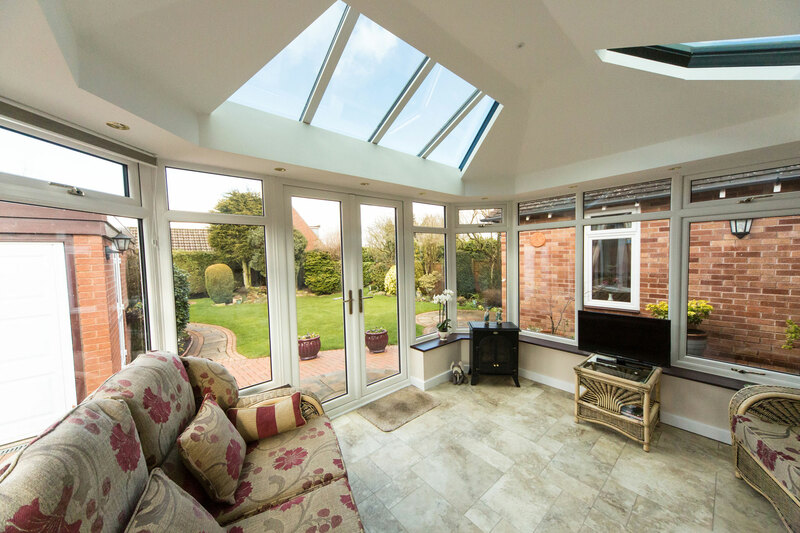 Alongside this, they are accompanied by a comprehensive 10-year guarantee to cover you against any problems. This means that, although highly unlikely, we’ll be on hand to make sure everything is sorted as soon as possible. 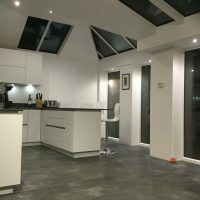 Due to the plastered ceiling that comes as standard with this design, you’ll be able to choose a range of customisation features to suit your tastes. 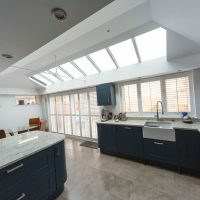 This includes spotlights, pendant lighting and speakers which will enable you to have control over the feel and function of your new living space. 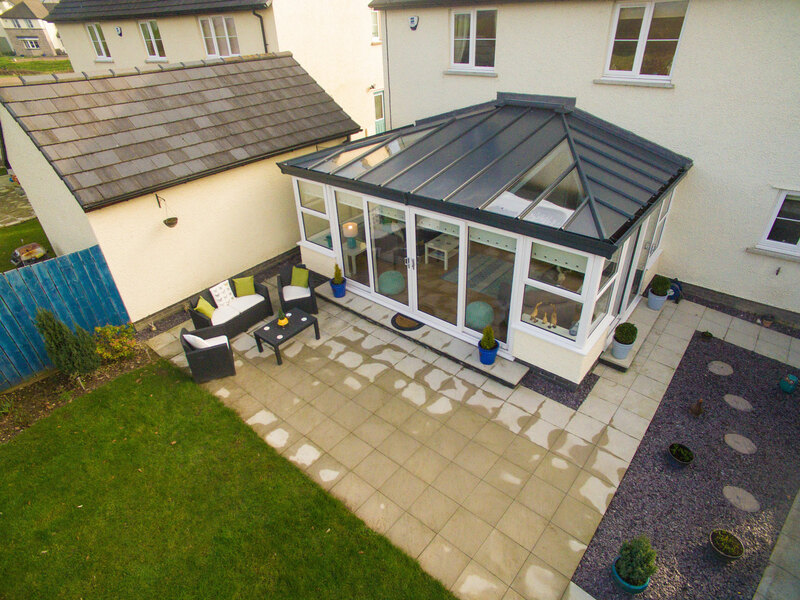 It is sure to be a versatile addition to your home. 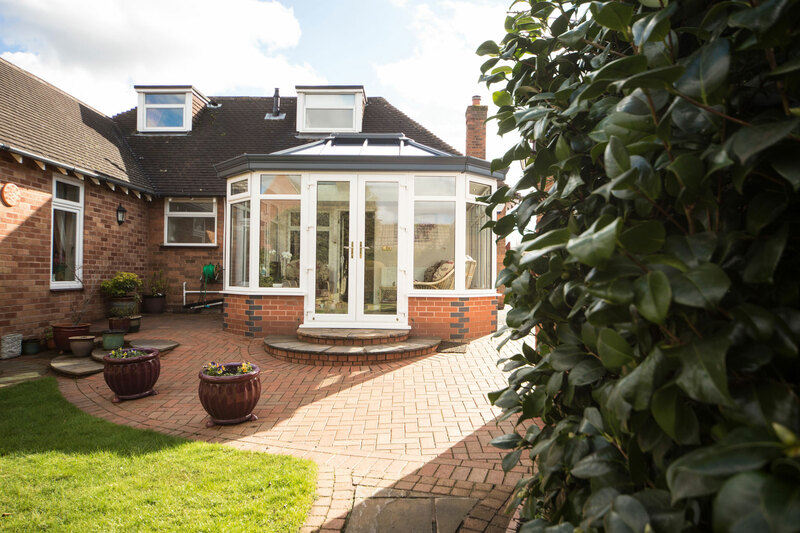 All of our house extensions are made to last, bringing value to your home long after their initial installation. 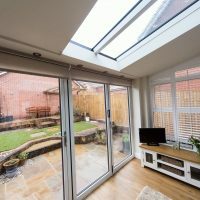 When this factor is combined with their intelligent design, which enables you to remain warm and comfortable no matter the weather, these house extensions are sure to be a wonderful, worthwhile investment for your property. 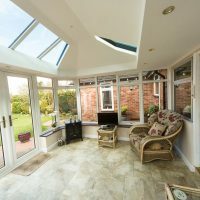 Visit our online quoting engine to get a free, instant and online solid roof house extension price in no time at all. 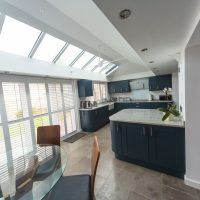 Alternatively, you can get in touch with us via our online contact form should you have any questions, or you can get in touch through this method if you would prefer to get a quote this way.